The final victim of the King's Cross fire has been officially identified by police, more than 16 years after the blaze that killed 31 people. Ever since the fire at the London Underground station, on November 18, 1987, there had been a mystery over the identity of one victim. But police have now confirmed he was Alexander Fallon, from Falkirk, a 72-year-old who was living rough in London at the time. His family suggested the remains could be his and forensic tests confirmed it. For the past 16 years, Mr Fallon's body was known only as "115" - the number on the body tag attached to him in the mortuary. Before his death Mr Fallon had kept in touch with his four daughters through letters and phone calls. No-one had heard from him since the time of the fire and his benefits went unclaimed from that date. But Mr Fallon's age, 72 in 1987, was older than that estimated for the unknown victim of the fire. Police had believed the man they were trying to identify was aged between 40 and 60. They had followed up hundreds of possible identities after receiving inquiries from all around the world, relating to missing people thought to have been in London at the time of the fire. 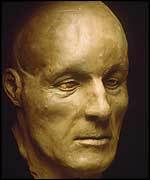 The investigation team even built up a model of what they believed the man's face would look like, based on the skull of his remains. Meanwhile, Mr Fallon's daughters were prompted to renew their inquiries about the body's possible link to their father after reading about a 15th anniversary service for the fire's victims in 2002. Forensic experts compared measurements from the skull with details that were known about Mr Fallon and concluded that the mystery had finally been solved. 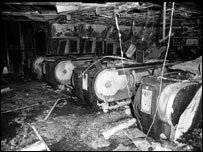 The 1987 King's Cross fire broke out under a wooden escalator at the central London Tube station. A fireball quickly engulfed the ticket hall and 31 people were killed. Smoking on the Underground had been banned in 1985 after a fire at Oxford Circus station, but smokers often lit cigarettes on the escalators on their way out. Nobody was ever prosecuted - the Director of Public Prosecutions and the Railway Inspectorate decided there was no justification for charges. "They've used new forensic techniques"